Here it is- Reems Nostalgia Post #1. I know that I've romanticized the Reems banana chocolate chip muffin several times in the past, but humour me one more time. 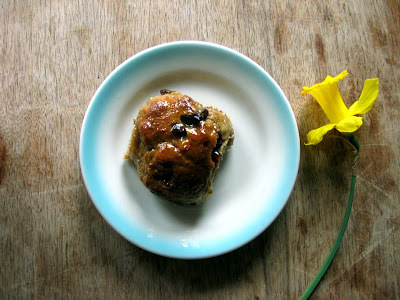 This muffin was a staple in the Reems snack cupboard, right up there with the chocolate chip square. My friend Suzanne still remembers the Reems bananana chocolate chip muffin - she recently reminisced about the pangs of jealousy she felt at the sight of me biting into a still warm, fresh-from-the-oven muffin each morning at school. 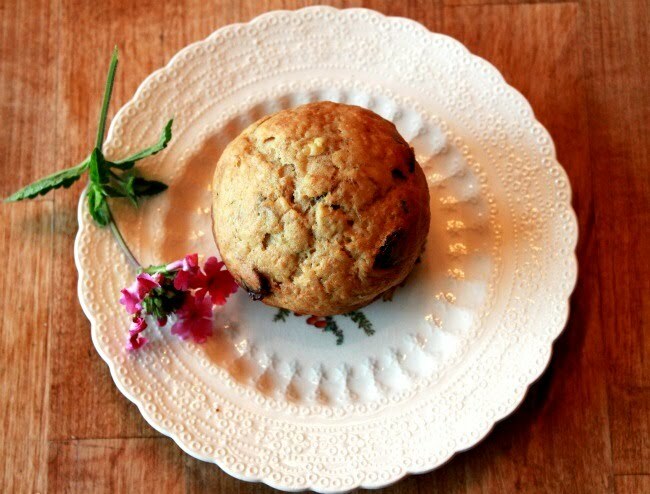 Now, while I can definitely corroborate that I did eat a daily muffin, Suzanne's memory of a warm muffin, is proof that I am not the only one that has romanticized Reems muffin memories. No, in the mid-90s, for a warm muffin you had to be at the Reems house around 10am on a Saturday morning. The coffee would be made, the muffins ready for sampling (though only one per child/adult, the rest would be cooling for recess consumption that week). Joan would have already buzzed the intercom multiple times to my room that morning, to ensure that I had cleaned the bathroom, and that I was cleaning my room. I would have assured her, multiple times, that yes I was working on it, and then would have returned to my novel. The only thing that would have torn me from my clothes-strewn lair would have been the smell of muffins and the promise of snack time. This is one of the original Reems recipes I had copied down - the original recipe called for 1/2 cup butter, but I don't think that Joan, even in her pre-low fat days would have done the full 1/2 cup. I compromised and used 1/3. Now, in true Reems-fashion you should double the recipe and individually saran wrap most of them to freeze them for future lunches. Mix together. Bake at 350 degrees for 20 min. Makes 12 muffins. Double for the Reems quantity of choice, 24. I think you could play pranks on Mike with those bloody fingers from your last post. Try leaving one beside his razor or curling another over the edge of his comforter. Hmmm. Reminds me of when Crach and I short sheeted your bed. Or when we thought it would be hilarious to fill Mom and Dad's bed with Rice Crispies. We were wrong. On Friday I had the opportunity to cook dinner for over one hundred people down at Street Cafe, a ministry operated by the Mustard Seed Church. The dinner is for those down on their luck or living on the street. The food is served restaurant style: lights are dimmed, candles are lit, and live music is featured. Guests are offered the choice of two entrees. On Friday, we prepared hash brown casserole and teriyaki chicken. When seven o'clock rolled around, Tina and I swapped our cook's aprons for waitress's aprons and attended the tables. We had more than a little fun storming into the kitchen hollering, "I need a chick and two hash." Restaurant lingo is truly addicting. I brought a few desserts to serve with dinner. These chocolate ghost cupcakes were made in the spirit of Halloween. The recipe is from Nick Malgieri's book, Perfect Light Desserts. 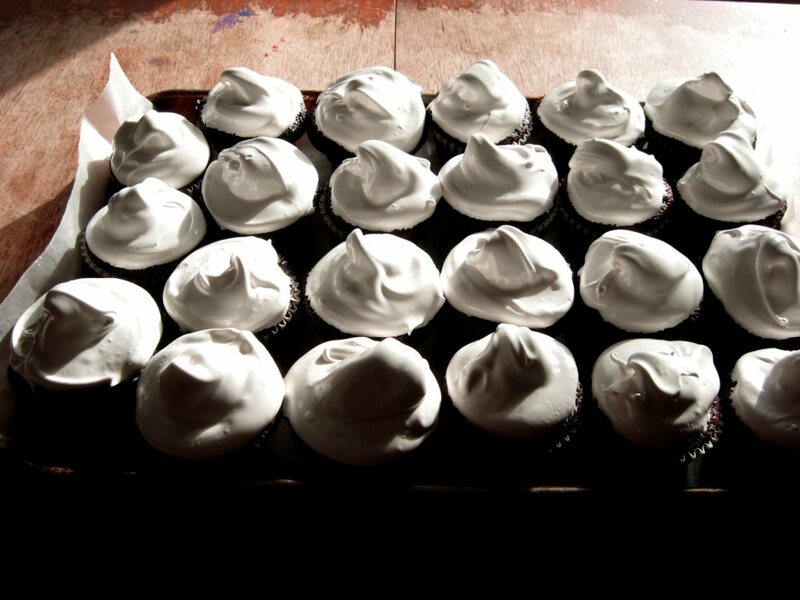 The cupcakes are my very favourite chocolate cupcakes and are extremely good topped with a mocha whipped-cream (1 cup whipping cream plus 1 tsp instant coffee, 2 tsp cocoa, 1/4 cup sugar combined and then beaten). In the future I will try topping them with a chocolate sour-cream frosting or a white-chocolate butter cream. Preheat your oven to 350 with a rack positioned in the center. Measure and mix the sugar, flour, salt, and baking soda in one bowl. Put the chocolate in a large bowl and pour the hot water or coffee over it. Let the chocolate stand for 2 to four minutes to let it melt, then whisk it into the liquid. Beating well after each addition, add the eggs, oil, vanilla, and sour cream one at a time. Be sure to whisk smooth after each ingredient. Whisk the dry ingredients into the wet mixture, mixing until the batter is just smooth. Pour the batter into your lined muffin tin and bake for 20 to 25 min until the muffins are just done. An inserted tester should come out clean. Let the cupcakes cool in the tins for 5 to 8 minutes then remove them to cool completely on a wire rack. Fill half a saucepan with water and bring it to boil. Reduce the water to a simmer. Combine the ingredients in a bowl and whisk smooth. Place the bowl over the water and whisk gently until the egg whites are hot (140 degrees_ and the sugar is dissolved. Remove from the heat. Beat with an electric beater until the icing is cooled, has increased in volume, and will hold soft peaks. Store the cupcakes in the fridge. They can remain out for a few hours, any longer and the icing will harden (which some people prefer). Fluff - likely a Reems-only dessert, I certainly have never encountered the combo of yogurt and jello anywhere else. Oh Henry bars - an oatmeal base and a chocolate peanut butter frosting. Yum. Vinegar cookies - A white cookie, kind of like a sugar cookie. Granted, not the best name, but they did taste good. Ooblis - Made by Grandma, mypersonal favourite - these were a popular birthday treat when I was in primary school. They were a Maria cookie kind of base with a mocha cream filling and dipped in chocolate. Besasup - I have no clue how to spell this and am too lazy to google. This is another Grandma special, a Dutch raspberry sauce served over vanilla pudding. 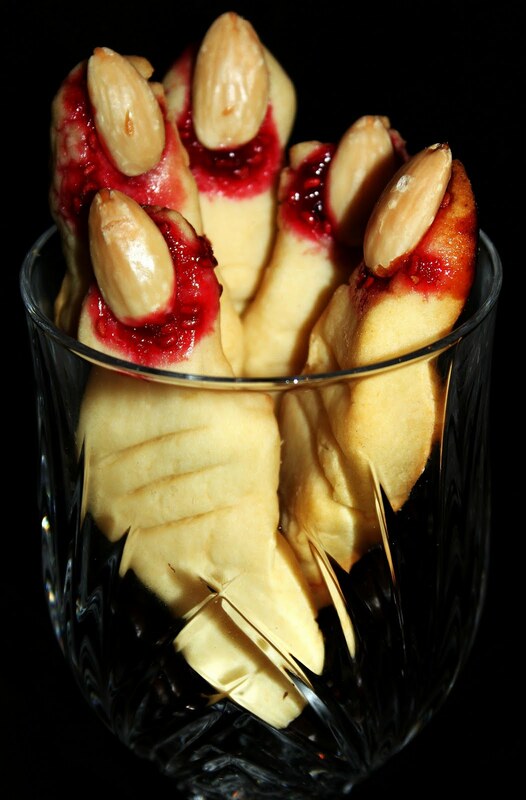 A few weeks back I spotted a recipe for Witches' Fingers in a Canadian Living cookbook. I ear-tagged them for haloween and Finn and I made them yesterday. Now, while they turned out nicely, or should I say bloody, it came to me as we were taking our first batch out of the oven , that maybe as a mother of a 3-year-old, I should have stuck to happy pumpkin faces. Oh well, Finn hasn't made the jam-blood connection yet, but maybe next year we'll work on those pumpkins. (Canadian Living adheres the almonds to the fingers with decorators red icing after the cookies come out of the oven). Stir dry ingredients into butter mixture. Cover and chill for 30 minutes. Shape spoonfuls of dough into finger-like shapes, use a knife to make 3 scores for the knuckle. Place a dab of jam on one end and then press an almond fingernail on top of the jam. Bake for 15 minutes at 350 degrees. Love the camping nachos! I see great potential for our California surf/camp trip next summer, particularly as Southern Cal is the land of avocados--at farm market stands specializing in avocados,you can expect to find five or six varieties. Who knew such wonders lie south of the border? Arnold is not the the only state phenomena. (He once tried to pick up Caleb's mom, as a matter of fact. That's a little piece of Speller-family trivia for you). Anyhow, I thought I'd better follow up on my cheese story. Otherwise, you'd think I failed miserably. When in fact, I experienced roaring success, and a small ovation from my dinner guests that evening. I ended up mixing the cheese with a little pesto and serving it as an appy. I sent my friends home with the recipe and their committed to experimenting with more cheese related products. 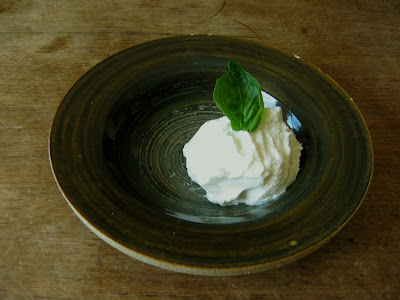 Okay, so I decided to make yogurt cheese because it's the easiest cheese to make. One doesn't actually have to do anything...Except buy a piece of cheese cloth, which is sold at ANY self-respecting grocery store. So, Haley, no trying to substitute a random piece of fabric you have floating around the house because you can't be bothered with going down to the store and ferreting out a proper piece of cheese cloth. Go. Buy it. No excuses. Once you have your cheese cloth, you double it over a couple times and the place it in a colander. Then you scoop a lump of yogurt into the cheese cloth. Set the colander into a bowl. It's nice if you can get the colander to sort of hang on the edges of the bowl because the moisture from the yogurt is going to drip through the cheese cloth and the colander into the bowl, leaving you with extra thick yogurt the consistency of cream cheese. This will take six hours or more, so just pop the whole mess in your fridge and go tend to the young ones. P.S. I can't wait to start our nostalgia cooking series. Readers--Haley and I will be featuring recipe favourites from our youth. Stay tuned. Blogging has been sparse as of late. It feels like a chore to hunker down with my laptop when the sun is shining and there are adventures to be had. Being married to a teacher (in addition to being sister to a teacher, sister-in-law to 2 teachers, and daughter to a teacher) has kept my world revolving around the school calendar. The laundry pile has grown, carpets have gone un-vacuumed, and my tupperware drawer has been systematically giving birth (but never to a matching set- oh I have countless lids, and unlimited containers, but never the twain shall match). But alas, our holidays could not go on forever, and when Mike left for school on Monday I saw the dusty piano with all the guilt that only a Dutch descendant can truly empathize with. We grew up in a muffin household. Joan ensured a continual flow of banana chocolate chip muffins through the Reems household, these saw us through everything from highschool basketball practices, to early morning life guarding shifts. Lately I have been on the hunt for the perfect muffin balance - a muffin healthy enough that you can grab one for breakfast, or feed to your child and not feel that nagging bad-mother-white-flour twinge (yes I have guilt issues, that have only increased exponentially by the arrival of children into my life!). 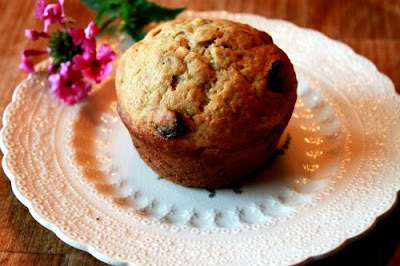 I'm still on that quest - here is the King Arthur Flour oatmeal muffin recipe that I have been using lately- I would definitely put the oatmeal version in the breakfast muffin category, though a sprinkle of cinnamon sugar on top, or the addition of a bit of streusel certainly makes it a nice mid-morning coffee accompaniment. I have been making the oatmeal version with the addition of rhubarb or blueberries this summer. I like to add a teaspoon or so of cinnamon and sometimes chopped pecans to the batter. I have made them with both oil and melted butter and haven't noticed a huge difference between the two. I use 1/3 cup brown sugar instead of 1/2 white. Finally, the oatmeal version tastes great fresh, but I put all the leftovers in the freezer as they tend to dry out after a day or so. OK Rach, you are about to board a plane and wing your way back to Canada. Yippee! I'm planning a trip to the island to see you soon! I love the picture in your last post. Were those the random items on your table? Was Caleb about to devour a mango and a cookie while peering out at Victoria through his binoculars, all after downing a beer and twirling a thingy-majig around his finger?Were you playing a memory game? Writing a story about a mango-eating peeping Tom? Speaking of writing, I feel that most of our readers don't know that you are a published author - that several of your short stories have appeared in print. I tried to find your non-Reems Eats writing online and came across your short story for Room Magazine (the link from the link appears on the left-hand side of their page). All right, I'm done bragging, and need to move onto the topic on hand - peanut butter brownies. After drooling over the recipe for about a year, this winter I finally tried, and was slightly disappointed with the Rebar Cookbook's Peanut Butter square. Now, after making Smitten Kitchen's peanut butter brownies, I know where Rebar wasn't working for me, and plan to meld the two into one square very soon. The Rebar square had a peanut butter-frosting which, using natural peanut butter, just wasn't the over-the-top kind of peanut butter square that I was looking for. Deb from Smitten Kitchen finished her brownie off with a chocolate ganache. This was it, the amazing chocolate finish that the squares needed. With the oatmeal-y, milk chocolate chunk Rebar base, and a chocolate finish I'm going to have one awesome square. I realize that this post is premature as this mystical, magical peanut butter chocolate square is very hypothetical at this point; however, the Smitten Kitchen squares are amazing and delicious as is, so I thought that you needed to know about them. You can imagine how much daydreaming time-and yes- much of it will happen as I happily drift off to sleep- will be devoted to the upcoming peanut butter square-recipe-morphing extravaganza. I followed the recipe to the dot - I even, after much deliberation, added the extra egg yolk that I thought was unnecessary. In the future I will not be adding this additional yolk, but I am trying something crazy and unorthodox: I have decided that the first time I make a recipe I am going to follow the recipe exactly as stated. Then, if I like the recipe, I will administer my usual tinkering on subsequent attempts. I know, crazy things are brewing in my kitchen. With these great intentions, I did make slightly less of that ganache than the recipe called for- but I did add that egg yolk. OK, Finn is out with Mike on their 'Saturday Morning Adventure' (Translation: I get to drink coffee, read the paper, and have a shower in glorious solitude) and I need to get back to the Travel Section for my vicarious vacation. A birthday cake is a heady thing. It's a licence, really, to enact your sugar fantasies. By the way, I've been enlisted to produce Grandma's eighty-eighth. Stay tuned. I for one, am not at all appalled to hear that you made your own cake, but that's because I know how much satisfaction it gave you, and how many nights you fell asleep mulling over which frosting, which combination of flavours. (I'm thinking three, maybe four nights). Chocolate chip cookies are the cure for most problems. (See the blog on Grade Nine Blondies). 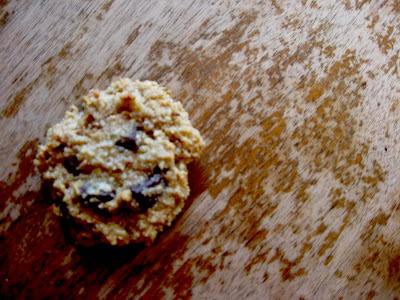 This is a really nice every-day cookie recipe. 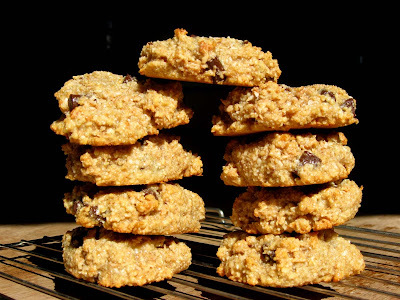 It tastes a lot like a granola version of a choc chip cookie, which is why I like it. I'm sure you'll agree that there is something about oats... Anyways, this recipe is straight from one of Peter Reinhart's (I'm way to lazy to look up the correct spelling of his name but probably should) books. Begin by toasting the seeds. Combine the seeds in a bowl with the dry ingredients. Drain the raisins, reserve the water. Add the raisins and add to the bowl along with the honey and the oil. Mix! Add water until you can mix it into a stiff batter. Scoop the batter in mounds onto a prepared cookie sheet. Flatten the mounds with your hand as they won't spread when you bake them off. Bake at 350 for 12 to 15 minutes, until the edges are just beginning to brown. How did this morning's bun-fest go? Was the over-night-garage-rise method as trusty as always? I'm going to keep this blog brief as I'm huddled up against my kitchen window in order to maintain an Internet connection. A ray of sunlight is hitting me right in the eyes and bouncing off the computer screen. If this is full of typos it's because I can't see a thing. We had M and M over for breakie. I think they were sufficiently impressed by our spread of eggs, fruit salad, and hot cross buns. Sigh, sad that so much of what you and I make is less about love and more about showing off. Look what I can do. I made 100% whole wheat buns because I'm on one of those whole-grains kicks. Laurel's Kitchen Bread Book has become my new best friend. I'm loving the hippy-style, healthy approach the book takes to bread making. While these are nice and grainy, they're still fairly rich... Here's the basic recipe, although I made some fairly significant changes. Combine 1 cup of the flour with the yeast. Add the water. Stir smooth. Add the wet ingredients except for the butter. Add the remaining flour 1/2 a cup at a time. The dough will be sticky. Add more flour by the spoonful if necessary. Wet your hands in order to keep the dough from sticking and knead for five minutes. Knead the butter in. The dough should be sticky but smooth. Let rise until doubled (one to two hours). Deflate the dough; reshape it into a ball and let it rise another 1/2 hour to 45 minutes, or until it is back to doubled in size. Divide the dough into 12 equal pieces and shape into buns. Let rise until doubled. Mix one egg with 1 TBsp of water and brush over the buns before baking in a 350 degree oven for 20-25 minutes. Meanwhile, mix 2 Tbsp honey with 1/2 Tbsp water and heat in a saucepan until boiling. Remove from heat. When you take the buns out of the oven brush them with the honey glaze. You may add the decorative cross using an icing mixture but I omitted that step. Serve them hot. If you plan to serve them later in the day, reheat the buns in a 350 degree oven. Thanks so much for picking up the flour. What is the mill like? Is it on a farm? Did they say where they get their grain from? So very inquisitive, I am. I looked up white whole wheat flour on the King Arthur's flour website because I wasn't sure exactly what it was. According to KA, the white whole wheat is "milled from hard white spring wheat, rather than traditional red wheat." Essentially, it will produce lighter baked goods than its red wheat (regular whole wheat flour) counterpart. I think for some cookies and muffins, a combo of white whole wheat and whole wheat pastry flour might work well, as the pastry flour tends to really soften the texture of the baking and it sounds as if the white whole wheat will not. I'm thinking that the two might be combined to achieve a nice balance. Anyhooo, I checked out a fun book from the library called "Baked." It's by two guys that opened a really successful bakery in New York. I tried their recipe for monster cookies and made a couple of changes, naturally. Here's my version of "Baked Monster Cookies"
1-2 cups chocolate chips or chopped chocolate--dark and milk (I used chopped chocolate and in this recipe, more is better. You may also use a combo of chips and M 'n Ms, as monster cookies typically do, or Smarties if you love them best). In one bowl, mix the dry ingredients. In another bowl, beat the sugar and butter. Add the eggs one at a time, beating after each addition. Add the corn syrup and vanilla, beating after the addition. Add the peanut butter and beat yet again. Add the dry ingredients to the wet, and mix until almost combined. Add the chocolate and mix until evenly distributed. Put in the fridge for 5 hours or in the freezer for two. Drop by 1 and 1/2 TBsps onto a prepared pan. Make sure your cookies are nice high rounds as they will spread. Bake at 350 for 10-15 minutes, or until just brown. Let them cool for 3-5 minutes on the pan before popping them onto a cooling rack. While I said I'd tell you about the dinner I made for Mom and Dad, I'm too lazy to do a full post on it. Probably a symptom of my newly unemployed nature. I've become a layabout, a vagabond, nearly. It is Sunday night and I have returned. I truly tried to complete the post earlier over the weekend. Believe me Moochie. But our internet connection is possessed (illegal in fact, the real problem). Anyhow, dinner with Mom and Dad...the topic is growing stale and a tad unappealing so I will write little in regards to it except to note that Dad was quite sure I had bought a 'special' chicken. I tried to tell him it was 'what I had done with it' (note reference to Australian movie, "The Castle"). He was unconvinced. So I guess I should return to the Quadra Street butcher for special chicken. Sunday night and I'm feeling free as a bird with no possibility of work on the horizon. Ah, sweet unemployment. 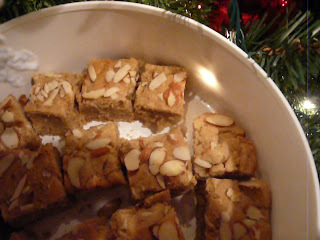 In tribute to my contract for teaching junior high at PCS, I will post my recipe for Grade Nine Blondies. These are Grade Nine Blondies because they are sweet and because they are a delicious. They are a cinch to prepare. On some days, grade nines are wonderful; other days, they leave you thin and wasted, barely able to hold you hand up to you face, and on those days, you make Grade Nine Blondies and eat a lot of them. Cream butter and sugar. Add egg and vanilla and cream some more. In another bowl, sift flour, baking powder, and salt together. Add wet to dry, when almost combined, toss in the chips and nuts and mix until just combined. Grease a square pan (9x9) and fill it with the batter. Bake for 20-25 minutes. The edges should be pulling away from the pan but an inserted tester may still come with clingons. My mothers says whole grains are nutritious, an essential part of a healthy diet. She worries about white flour. It is refined. It's smooth airy texture comes at a price, millions of calories which form during the digestion process. The science remains beyond my grasp but my mother says white flour is equivalent sugar. She's also worried about sugar. My husband refuses to worry about sugar. "I need sugar," he says, looking into the fridge, opening various cupboards. He moves a lot. His body is a small perpetually whirring machine. His out put of energy is extensive. Heat pours from him in waves. So perhaps he does need sugar. Or maybe he's addicted, which is how my mother would explain it. In her universe sugar is a drug, a bad drug. Despite the conflicting world views, both my mother and my husband would agree that cookies constitute an essential food group. His are dense, sweet, and chewy. Hers are dry--nearly sugarless, void of fat. Between these two ideologies, I try to carve a niche, a safe space of equilibrium. My cookies are sweet, but not too; contain fat but far less then the average. Recently, while thumbing through King Arthur's Flour Whole Grain Cookbook, I came across a cookie recipe which uses only whole wheat flour. While King Arthur and co advocate whole grains, they are liberal in their use of butter and oil. I tinkered their recipe to create cookies neither my mother or my husband are wholly pleased with (him-- to fibrous, her-- is that sugar? ), yet both consume these sweet, healthy nuggets with gusto. You won't be disappointed with these cookies, but be warned, they require an overnight rest in the fridge so you need to mix them up the evening before you plan to bake. In a saucepan, melt butter and add sugar and oil, heating the mixture until it is just beginning to bubble. Remove from heat, pour into a large bowl and allow to cool to lukewarm. Stir in vanilla, baking soda, instant coffee, baking powder, salt, corn syrup and vinegar. Add egg and beat. Then stir in flour, mixing until just combined. Mix in chocolate chips. Drop batter by spoonfuls onto a greased or parchment lined cookie sheet. You should have just under 2 dozen, or less if you like big cookies. Flatten each cookie with your palm. Bake for 10-12 minutes. Don't over bake (remember, this is the cardinal sin of healthy baking). Once you've removed from the pan from the oven, wait 3-5 minutes before removing the cookie from the pan to cool completely on a wire rack. Mike loves his spuds - bake 'em, boil 'em, fry 'em.. Better yet smother them with cheese and bacon! While this appy looks like it might shave some minutes off your life, it is actually moderately healthy. Now by my way of reckoning, "moderately healthy" is a label that applies to those foods that should not be consumed excessively at every meal, but when stacked up next to their gut-busting, artery- clogging "real" counterparts, look like water and celery sticks. 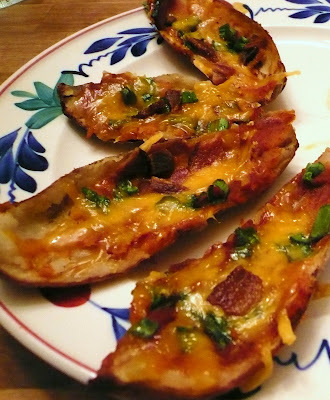 Home-made, as compared to your pub variety potato skins are a good example. Instead of deep frying I baked these beauties. I even tested my version with low fat cheese. I could devote a whole other blog entry to low fat cheese. I typically use Cracker Barrel Old Light cheese for day to day cheese use - for sandwiches, bran muffins and such. I am more reluctant to melt it. However, for these potato skins the low fat cheese worked like a dream. 1) Bake some potatoes. I chucked four potatoes into a 400 degree oven and left them there for about an hour and a half. I think that an hour should do it though (Finn and I had an accidental siesta upstairs so I'm lucky that the potatoes even made it!). 2) Take your potatoes out of the oven and let them cook for a bit. When you can handle them (first deal with your and their emotional baggage), cut them lengthwise in half, and then each half in half again - so that the potato is in four length-wise quarters. Now scoop out the potato so that there is just a bit left, maybe a quarter of an inch. Save the "innards" for baked potato soup or mash them up for tomorrow's dinner. 3) Brush some olive oil on your potato skins and season with salt and pepper. Next put on some sort of sauce - I had leftover pureed tomatoes so I mixed a quarter cup of that with the same amount of barbecue sauce. You could also use straight barbecue sauce, salsa, or tomato sauce. Then load your skins with toppings. I use homemade bacon bits (organic-happy-pig bacon.. doesn't that somehow negate the fat?? ), lots of chopped green onion, and cheese. You could get creative with your own toppings. I was thinking that sun-dried tomatoes, chopped olives, feta and shrimp might be a nice switch up. 4) Take out of the oven and serve with sour cream or spicy yogurt and then eat quickly.. well, at least load up your plate so that Mikeyc doesn't oust you from your rightful share. 'Twas the Week Before Christmas.. I've been hitting the flour. My kitchen is as white as the ground outside (mostly due to little white hand prints decorating my pantry). I've done it - I have attempted the Gevulde Speculaas - I use the work attempted, because while they taste amazing (judging purely from the rate they are flying out of the cookie container), this was a first attempt. I know that I have stressed and stressed some more about the importance of a slight under-bake if you want a really moist square- one with a bit of chewy "melting-in-you-mouth-ness." Well, I baked the speculaas perfectly, they taste super, but if I am being really critical, and let's face it - when it comes to food I have a high bar, I would say 2 minutes less baking time would have been the ultimate in perfection. However, this will have to wait until next year because my waistline can only handle so much. I would like to brag, because I think I deserve to, that I made the almond paste filling from scratch. I won't say it's easy - it would be if you have a food processor, but alas I do not. Scraping the blades of my blender repeatedly, while making almond paste, was one of the first times I have really wanted a food processor. Please, if you own one please let me know which model you have and if it's worth owning it - because generally I like to stir; and I find chopping most vegetables, aside from onions, therapeutic; and I hate washing dishes; and up until renting a house with more cupboard space than I know what to do with, I have begrudged the space that unused appliances, and even used appliances, have occupied (Because of this Mike's rarely used quesadilla maker was a casualty of our move); and if you recall from my last post I am a one-bowl wonder. But I am derailing, suffice to say that almond paste can be made in a blender - just tack on a few extra minutes of pulsing and scraping to your efforts. Combine the above ingredients. Divide dough in half - roll or pat one half into a 9 by 13 pan. Take about 3 cups of blanched almonds. Grind in a blender or food processor. Into your blender or processor add an egg, 1 tsp of almond extract, a few tablespoons of water, 1/2 cup of honey and 1/4 cup of sugar. Add more sugar to taste if you like. Voila. Finally, roll out the second half of the dough and put on top of the filling. I had to patch mine up, but once I covered it with flaked almonds you couldn't tell. Next time I will make this I will brush with some egg and then put almonds on top - this time round at least a third of my almonds came off. Bake at 350 for 30 min (although recalling my rant have a peek in your oven at 25 minutes to see if they are ready). Take out when the dough looks SLIGHTLY underbaked. It will harden up on it's own. Though if you like a drier crumb I would bake for 35 minutes. Merry Christmas and stay warm!!! It snowed! (What does ‘it’ determine? The sky, the clouds, the weather, mother nature, God, the world? I’ve never been sure.) About five centimeters of white clotted our driveways and roads. Yeah! For once Victoria felt Canadian. Caleb and I stepped out into the world first thing. We walked a couple kilometers to a palm tree that Caleb photographed in the snow. I photographed Caleb photographing. Also, I lured him into the grocery store on the return trip. 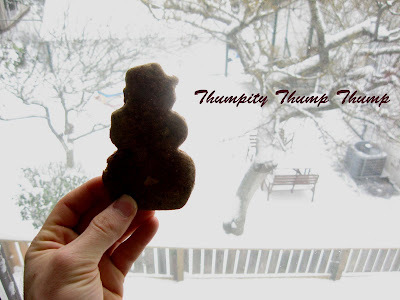 After all, on a snow day, what is there to do besides play outside and bake sugar cookies? I toted home a knapsack full of veggies and fruits and Caleb carried a bag of flour slung over one shoulder. 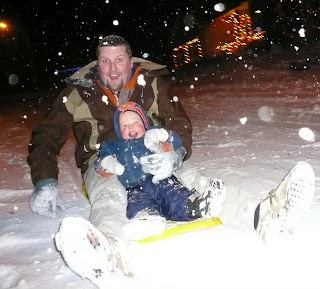 With only two weeks to Christmas, snow on the ground, and sugar cookies dancing in my head, I knew life was perfect. Or nearly perfect, the wind was bitingly cold and the skin on my hands and face was red and chapped. I spent most of the day singing along to Christmas songs (we’ve got a whole cache of new Christmas records), mixing, rolling, and cutting dough, and crafting Christmas cards. Two varieties of sugar cookies sprang forth from my laborious activity: one, a lime drop sugar cookie, the other, a rolled sugar cookie. The second, the rolled cookie, is a play on the original sugar cookies, which, while sweet and tasty, strikes me as a tad dull, the bland face of a too beautiful model. 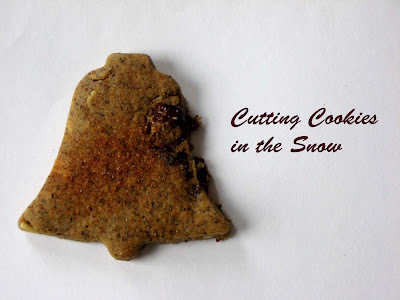 So I jazzed, spiced and changed to develop a not-so traditional sugar cookie that includes the likes of buckwheat flour, cardamom spice, and slivered almonds. I hope you tear into these as quickly as we did! (I just ate one for breakfast). Add the dry ingredients to the wet and mix until almost combined. Divide into dough in two and shape into disks. Cover dough with plastic wrap and chill in the fridge for at least I hour. Roll dough between two pieces of wax paper. Do one disk as a time, leaving the other in the fridge. Make sure to roll the dough out evenly, about ¼” thick. Cut out shapes with your favourite cookie cutters. Place on a cookie sheet and sprinkle with cinnamon sugar. Bake at 350 for 8-10 minutes. Baking time depends on the size of your cookies. Larger cookies will take slightly longer. The cookies will firm up after they’ve cooled a bit. 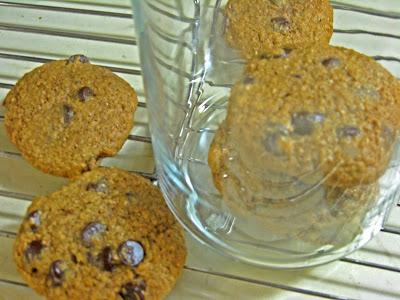 I like soft chewy cookies, and I think this recipe tastes better as such, so I prefer a shorter baking time. In Calgary Mike first began embracing the Dutch culture (well, I guess since I am somewhat Dutch I suppose it could be argued that this embracing began a little earlier..); he was excited to find a community of people who went to church, lived their faith, yet still enjoyed a pint on a Friday night. His Sottish Campbell ancestors rejoiced in their graves when he discovered John Calvin, to the extent that we now have the complete set of Calvin's commentaries gathering dust on our book shelf. Since moving to Chilliwack, Mike's embracing of all things Dutch continues with his exploration of Dutch food. What's not to love? Cheese, bread, and baking loaded with butter. Mike has become a regular at the Dutch store, and is working his way through the long list of goudas. So, to celebrate his birthday tomorrow I have baked his favourite Dutch delicacy -boterkoek. This is my first time attempting this feat and I am excited to report that it may be the easiest thing, albeit somewhat artery clogging, to bake. I did knock the sugar content down slightly, and found the recipe with the least amount of butter (courtesy of the Chilliwack YMCA cookbook, thanks Hanna). 3) Mix in 11/2 cups flour and 1/2 tsp baking powder. 6) Bake at 350 degrees for about 350, or until brown on top. So, that's it - another addition to Mike's adopted heritage - now if he can just get into a Dutch passion for cleaning! As the years progressed the squares became slightly more, well, healthy, as the amount of butter decreased and the amount of oatmeal inversely increased. Before you accuse me of being overly critical of a working mother of four who still managed to produce a never ceasing flow of baked goods and nutritious meals, I do want to express some gratitude for having been instilled with the value of healthy eating and active living. That said, I set out to replicate the pre-oatmeal-low-fat-square of my memory while making it slightly healthier than the original. Now according to my R2 I haven't quite nailed the original square. However, judging by the amount of these that I have been baking lately I have come up with a formula that is working. The beauty of squares, as opposed to cookies is that they are quick and easy. You can mix up a batch while you are making dinner. No fiddily little balls, no endless batches. The key to this square is your baking time. Please use the baking time as a guideline and watch these like a hawk the first time you bake them. All ovens are different and what these babies need is to be under-baked. Take them out when the middle of your pan is still doughy. They will firm up while cooling. If you leave them in too long don't blame me. Note: I am a one bowl baker. My method? Measure all of the dry ingredients on top of the wet ones, and then give the dry ingredients on top a good stir and then stir the whole mixture together. You may need to use your hands to combine the dough. If it is really dry you can add a scant tablespoon of water but be careful not to overdo it. Press the mixture into a small cookie sheet or a 9 by 13 inch pan (the cookie sheet will produce a skinnier square and therefore requires a slightly shorter baking time). 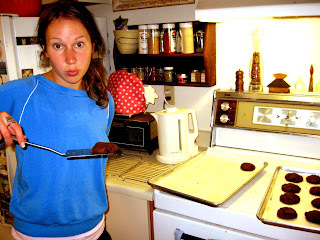 Bake at 350 degrees for aproximately 15 minutes for a 9 by 13, 12 minutes for a cookie sheet. Start peeking into the oven at 10 minutes. UNDERBAKE!!! Let cool for about 15 minutes and then cut into squares. Try not to eat all of them while you do this. Christmas is coming - it's that pre-holiday time of year when I like to leaf through cookbooks and magazines, dreaming about Christmas cookies.. particularly those that require copious amounts of butter and sugar. This is the time when healthy eating is pushed aside. When shortbread and fudge take centre stage. However, for the amount of time I spend looking at recipes, my actual baking output is pretty limited. I tend to make a few batches of biscotti and some sort of square. This year I am thinking of giving Speculaas a go. I'll keep you posted on that one. Today I was baking for the newest addition to the Reems clan - Tommy Harvey. I needed something to withstand the long journey from the 'Wack to Victoria. Those BC ferries are a rough ride. Biscotti it is. Biscotti, is a bit of a cheat - hardly any fat and definitely pushing the envelope of a sugary concoction. However, having been on the receiving and giving end of a batch of biscotti at Christmas time I can vouch for the coziness of a cup of hot something, and a nibble of biscotti goodness. Making biscotti seems a bit involved when you first glance at a recipe. While it takes awhile because of the double baking required, it is actually ridiculously easy (our little secret). My go-to One Smart Cookie is still packed in my garage. My favourite biscotti recipe is still cranberry-almond with white chocolate. However, lacking my favourite recipe, and the requisite white chocolate Smitten Kitchen's Chocolate Hazlenut Biscotti fit the bill. I'll let you link to the recipe. I did a few tweaks. I didn't have hazlenuts so used almonds - I didn't toast them either, I just did a rough chop on a cup of natural almonds; I used one cup of sugar, instead of 1 1/3; I only had 2 eggs left so I added 1/3 cup leftover coffee (you could use water), and 2 T vegetable oil. Even with my tinkering they turned out beautifully. To dress them up if you are giving them as gifts, spread or drizzle with some melted white chocolate. Finally, grab a book and your cup of coffee. Ahhh, biscotti time! Not that I recommend it (bingeing, that is), but after spending two months on the road my kitchen is a haven and my stove my best friend. Cookies are the outcome of this sweet sweet union. It's a completely natural and beautiful act. Although, yesterday I baked a pear cake and met with minor disaster. The batter was sweet, subtle, smooth (too many s's, I know) and the pears perfectly ripe but stupid me pulled it from the oven too soon. Upon cutting into the cake, I was greeted by a gooey fist clenched at its centre. Opps. I nearly cried. It was to have been pure bliss. But I will bake the pear cake again. Oh yes, and I will eat it with whipping cream. And ice cream. Ha. But back to the cookies, I found the recipe in my new favourite cookbook in the whole entire world, Perfect Light Desserts, by Nick Malgieri, and David Joachim. It is seriously the best dessert book I have chanced upon in some time. These men can bake. Mmmm, men who can bake... 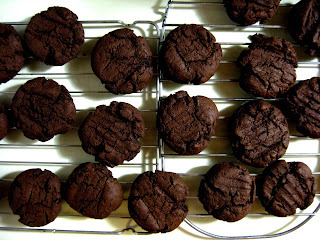 The cookies are both molasses laden and chocolaty. Go figure. Plus, wait for it, they contain 4 Tbsp of butter! It sounds like less when I put it in tablespoons. Somehow, a quarter cup sounds like more and I'm aiming for popularity, so tablespoons it is. I brought a plate of these circles of perfection into the high school where I was substitute teaching this week. I left them in the staffroom along with my card. Let's just say I've been getting a lot of calls. Although the one at 6:30 this morning was less than thrilling. Stir in the dry ingredients. Don't over mix! This is the low fat cookie cardinal rule. Drop by spoonfuls onto prepared pans. Flatten the cookies with your hand or the back of a fork. Now, the baking is slightly different. Position your racks in the upper and lower thirds of your oven. Place one sheet on the top rack and one on the bottom. Bake the cookies for ten minutes, switching the positions of the sheets half way through baking. The cookies will be quite moist when done but they will firm up as they dry. Resist the temptation to keep baking them. This is the second cardinal rule of low fat cookies: always slightly under bake. I think about cookies, a lot. Mostly, I think about eating cookies. When, where, how many? I ask myself. Is eight thirty a.m. too early? Is obesity a possibility? These are all difficult questions, which I eventually ignore and simply eat cookies. My favourites include oatmeal chocolates chip in all its splendid varieties (Have you been to Pure Vanilla Bakery and tried the Kitchen Sink? Go! Go! ), double chocolate, and peanut butter. Yes, this is a predictable list. I’ve come to accept that I’m not the most creative person. Quirky, yes, but I’m unimaginable to a fault, routine to the brink of boring. A few weeks ago I lay awake at three in the morning. To calm my revving brain I invented ice cream flavours. I came up with apple pie. Two nights ago, yet again, I lay awake at three in the morning. This time I brainstormed cookie recipes. After over an hour I had created two combinations. One involved oats, one involved chocolate. Why not use a pre-existing recipe, you are probably wondering, as over one million chocolate and oatmeal cookies already exist in the world? Despite the banality of my ideas, at three in the morning I felt the excitement of creativity, which is highly addictive and enabling, a word I hear spoken with reverence these days. So I enabled myself. Besides, I like thinking about cookies. They are chewy. And sweet. Like fat little men. Or baby heads. I tried the oatmeal recipe, which I’ve titled Honey Nut, and the cookies were truly tasty, and wheat free, for those poor, poor, allergy-suffering souls. I thought about selling the recipe rights to Martha Stuart for disgusting amounts of money, but then I’d be a SELL OUT, so instead, I’ve posted it here for your gorging enjoyment. Mulch the oats in a food processor or a blender. Place them in a bowl. Do the same to the almonds. Add the almonds to the oats. Add the cinnamon and salt and mix. Combine honey, applesauce, oil, and vanilla. Add the dry mixture to the wet, mix and add chocolate chips. Bake at 350 for 15 minutes. Take out the cookies even if they seem a bit soft. They will harden up as they cool. Yum! I found the recipe a little sweet so I’m going to try cutting the honey to a half cup or upping the amount of barley flour. I have spent far too long greedily absorbing the bounties of this glorious blog, and now it is my turn to give back. Well, that's not quite true. In reality I forgot about aforementioned blog until about an hour ago, and since then have been greedily catching up. I am particularly excited to fry up some hummous cakes (Not that I am trying to cause conflict by voting for a favourtie recipe...I promise I just like the ease). With my insatiable appetite that cannot be quenched, a mere midmorning muffin and tea-time cookie do very little to tide me over, and I find myself stuffing handfuls of chocolate chips in my mouth, handfuls of cereal, handfuls of cookies, handfuls of anything I can get my grubby hands on. At risk of this blog becoming Carmen's confessions of a foodaholic, or confessions of a gluttonous pig, I will stop there. I decided if I am going to be shoving handfuls of food into my gobber on an extremely regular basis, it might as well be a tasty, healthy treat! Season them with whatever you'd like...my favourite is a bit of garlic and some chili powder. bake them for about 30-40 minutes, until they seem good and browned. I shove handfuls in my mouth relatively guilt free. I found the idea for this online, and one commenter mentioned hers went soft overnight. Naturally I can not comment on that, because mine have never lasted overnight. Welcome to Reems Eats - We (sisters, Haley and Rachel) have been chronicling life in and out of our kitchens since 2008.